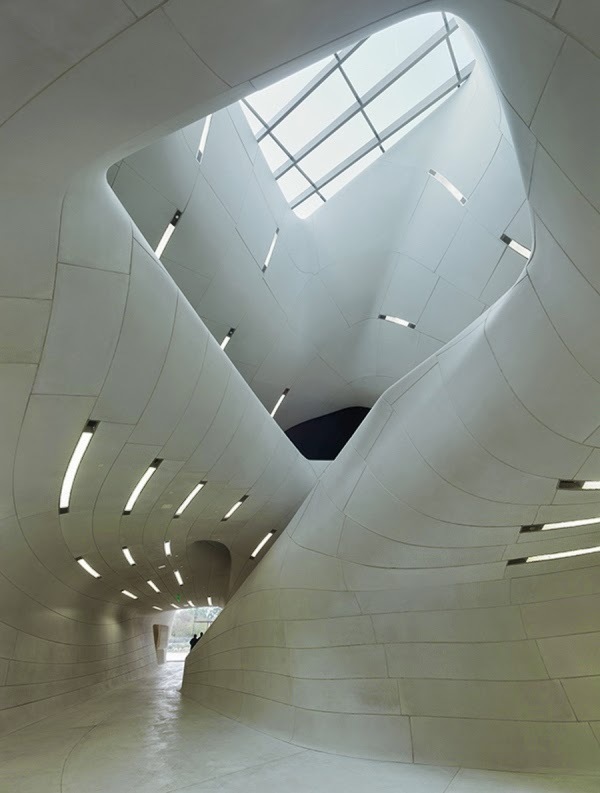 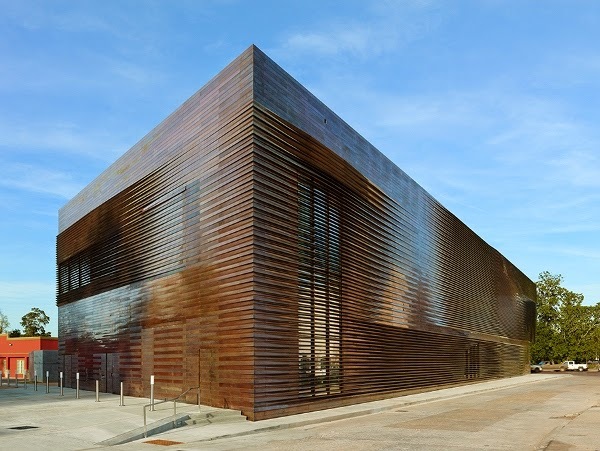 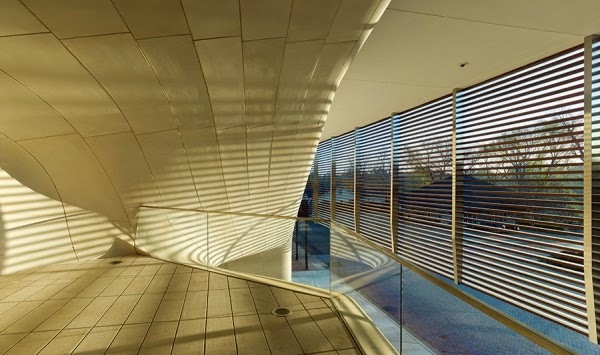 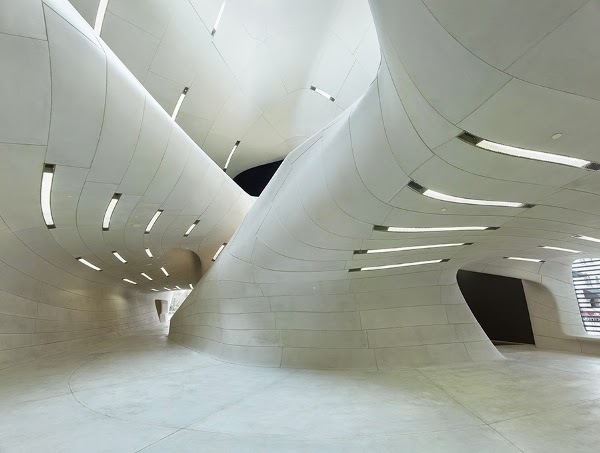 Proving the commonplace adage that demonstrations of excellence can be found in the most unexpected of settings, the Louisiana State Museum and Sports Hall of Fame by Trahan Architects is a true architectural gem that deserves all the attention and awards it has garnered since it opened to the public in 2013. 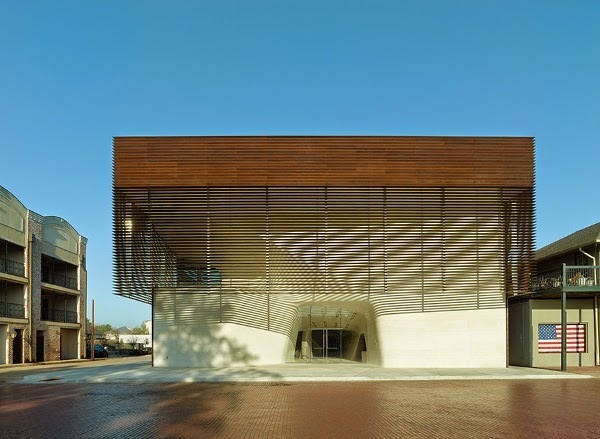 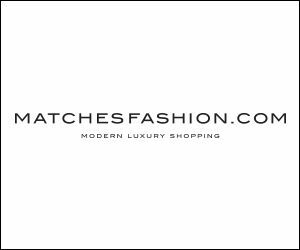 Located in historic Natchitoches, Louisiana (a small city with a population of just under 20,000 inhabitants) the building occupies 28,000 square feet on the banks of the Cane River Lake, and was built at a cost of $12.6 million. 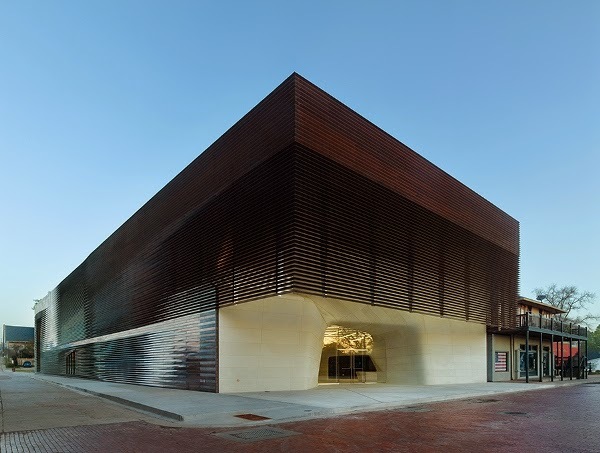 Containing two contrasting collections formerly housed in a university coliseum and a nineteenth century courthouse, its design mediates the dialogue between sports and history, past and future, container and contained, while evoking the region’s rivers and plowed fields with sinuous molded stone interiors and earth-colored exterior sheathing. 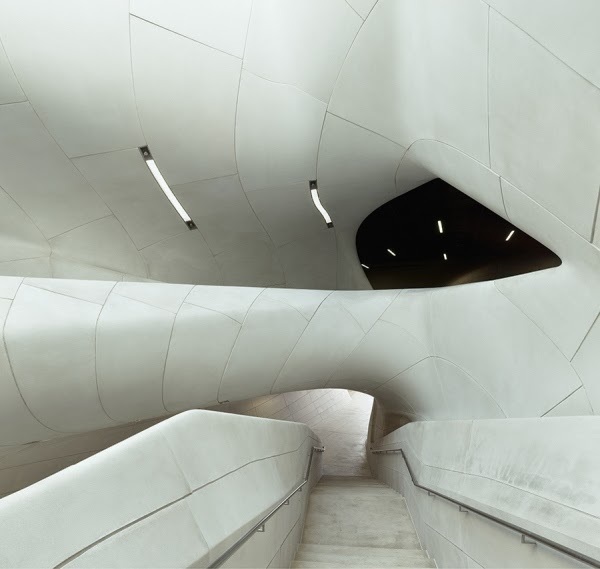 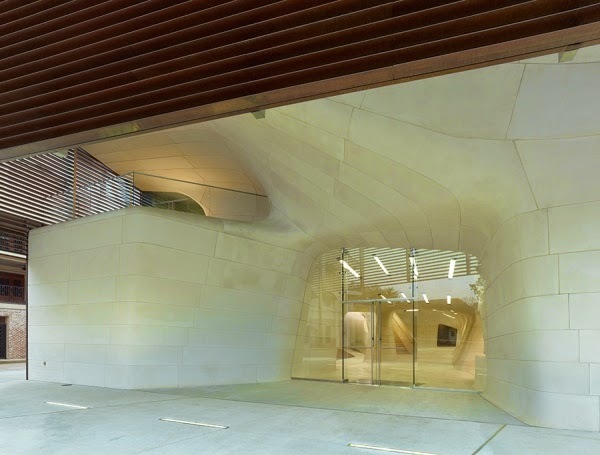 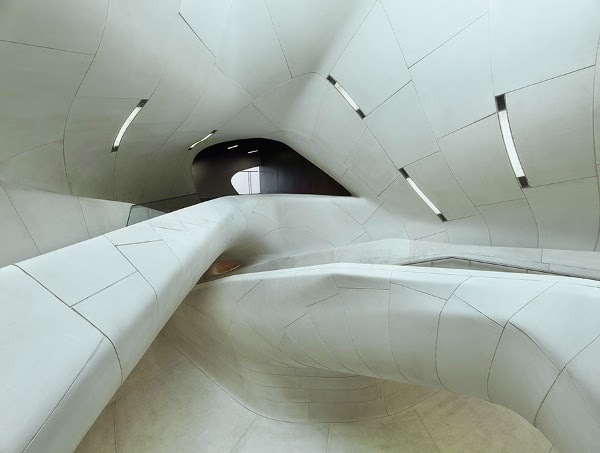 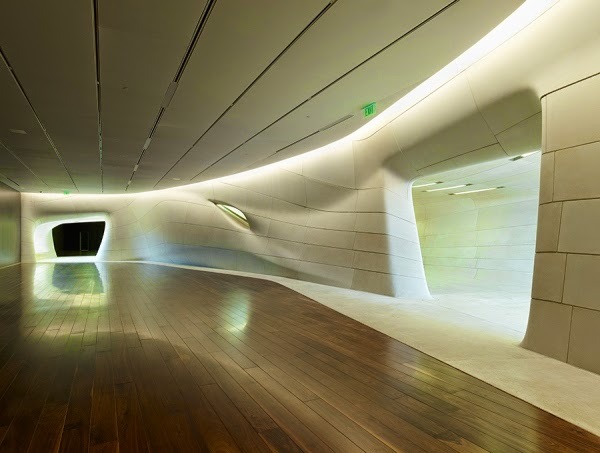 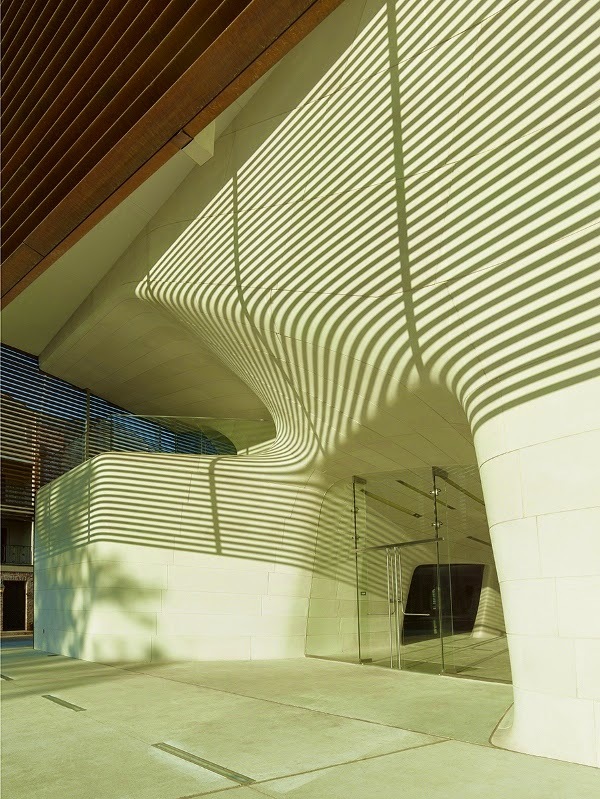 In contrast with the patinated exterior shell, the flowing interior emerges at the entry in the form of a foyer sculpted out of 1,100 digitally milled cast stone panels whose shaped surfaces seamlessly integrate all building systems. 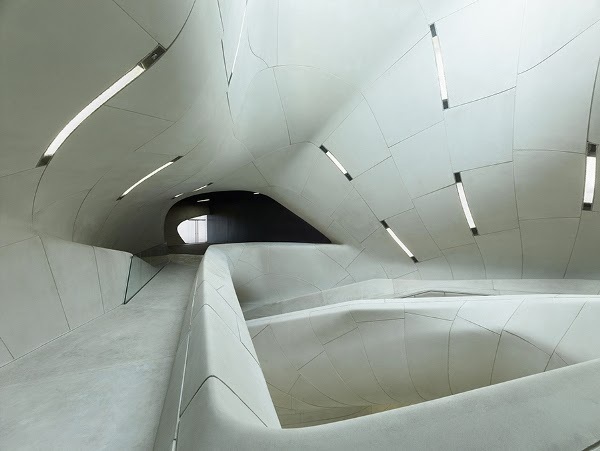 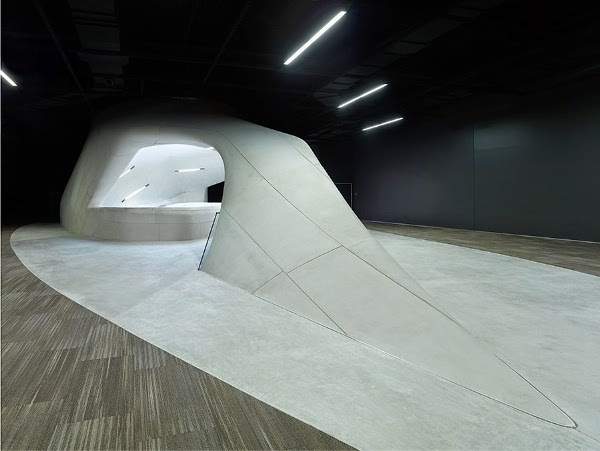 From the foyer, the remaining internal spaces were conceived to flow visually and physically together, and were arranged to accommodate exhibitions, educational activities, and the building’s administrative areas.